My company sends a small team of R&D personnel to selected universities for 1-2 days to conduct interviews. Prior to arriving on campus, the assigned recruiters review all of the application packages from interested grad students and post-docs. The packages usually consist of a cover letter, CV or resume, and a short research summary (~1 page). During each interview, meticulous notes are taken and later transcribed and uploaded to a central recruiting database that is accessible to recruiting focal points throughout the divisions and business units of the company. Based on the campus recruiters' notes and rankings, the recruiting focal points embedded throughout the company can select candidates for on-site interviews at any of several R&D sites. A candidate's primary goal should be to make sure that they are pre-selected for an on-campus interview. Without being selected for an on-campus interview, the odds of getting an on-site interview or securing employment are slim. As such, it is in the candidate's best interest to provide a CV or resume that will draw the attention of the on-campus screening team and convince them to grant you one of a handful of interview slots. Beyond the initial evaluation, the on-campus interviewer may have very little influence over any future decisions to invite a candidate for an on-site interview or make an offer of employment. As such, a good on-campus interview can go a long way towards landing an on-site visit, but there are still plenty of opportunities for an application to get bogged down or lost in the crowd. With some very notable exceptions, many integrated science and technology companies have instituted a policy of looking for the best scientific talent, regardless of the specific sub-field of techncial training. This policy is often referred to as "non-slot hiring" and can make for interesting bedfellows in the various R&D organizations. For example, a polymer-centric R&D group may have a handful of scientists with PhDs in polymer science working alongside former inorganic or total synthesis chemists. The idea is that good scientists will be good wherever they land, as long as they have the motivation and willingness to take on new challenges. In principle, this policy is designed to produce a technically diverse work force capable of moving freely among different business units focusing on different technologies. This provides many young scientists with great opportunities to start fresh and broaden their horizons, but can also be frustrating for the folks determined to work in a single area of research for their entire careers. I thank my anonymous reader and correspondent for their insights. “It’s a great time to be an analytical chemist,” says Dan Shine, president of chromatography and mass spectrometry at Thermo Fisher Scientific. The company employs roughly 4,600 scientists and engineers, including analytical chemists. “We typically have hundreds of positions open at any one time,” he says. Interestingly, Thermo Fisher Scientific lists 27 positions for the search term "chemist." This number includes a number of positions in Bangalore, India. Ian Mangion, for instance, started at Merck as a synthetic organic chemist, but he found himself becoming more and more interested in the analytical side of things. “There’s a synergy between making and measuring, and learning the other part of the equation became interesting to me,” he says. “A lot of the training I’ve gotten has been on the job, being mentored by senior people in the department, learning a new skill set, and broadening myself as a pharmaceutical scientist. Some analytical chemists worry whether academia can produce enough new faculty to train the next generation of analytical chemists. Ohio State’s Olesik says that of the more than 50 graduate students she has trained, every single one has gone into industry. “The difference in salaries between academic and industrial analytical chemists is significant,” she says. “I think academic analytical chemistry has to be really careful or we won’t have enough graduates to support industry’s needs,” Olesik says. “This dwindling away of the academic analytical enterprise, it’s not a good thing, but it’s real.” She encourages analytical chemists to consider careers in academia as well as industry. This article reminds me of something that I have been thinking for a while -- the ACS Salary Survey (and the once-every-five-years ChemCensus) are still not comprehensive enough and do not have a broad enough reach. We are on the "other" (whatever that means) side of the Great Recession, and we still have a paucity of good data. That's a shame. I didn't know the first thing about PCSK9 inhibitors, but I feel a tiny bit more knowledgeable after reading Beth Halford's article. Interesting article by Lisa Jarvis about Mike Varney, the new research head of Genentech. Anyone else intrigued by this statement? "The company has bolstered its “scientific track” to keep researchers engaged and well compensated. “If you want to stay on that track and build your career as a scientist,” Varney says, “then you don’t have to suffer financially by not becoming a manager.”"
Nice summary of the current state of play between the House Science Committee and NSF by Andrea Widener. A scroll through the list of "problem" grants is interesting and boring at the same time. Not very many physical science grants identified for scrutiny, for sure. Interesting ideas from the ACS Council at the Denver National Meeting: no elevator clauses, National Meetings "a la carte"
...Council was livened up with an advisory vote of the Council to the Board, requesting that some of the built in escalator clauses for raising dues and meeting registration costs be held back. I took an interesting turn as the financial health of the national meetings was discussed. I think there is some truth that in the current economic environment salaries do not go up even in line with the CPI; the flat starting salaries and actual declines in salary give cred to that. The dues raise by $4 was a symptom of a larger lack of perceived value of ACS membership by industry members, who now are about the same percentage as academic members. The truth- evident to all, if not acknowledged- is not that a $4 increase in dues is not going to break anyone- clearly it is not. But it was a nice departure point to highlight the industry problem ACS has, and that recent actions, while welcome, have not stemmed the hemorrhaging. The true extent of the problem is obscured by the changed ACS membership requirements allowing HS chem teachers and others to join (to which I heartily agree), but also the drive to rope in new ACS members (at cut rate dues I might add) in greener pastures overseas, in India and China mainly, but also in old Europe of UK Germany etc. Remove these adjustments and my guess is ACS membership would be in the 140Ks instead of 158K. As a way to create better value for the 93% of ACS members that do not attend the national meeting and raise some significant $$ from the meeting content that the army of volunteer symposia chairs and their speakers have created, I was able to suggest my "ACS Meeting A La Carte" idea to the full Council - in about 90 seconds no less, an idea that I have been hounding people about since the last Denver meeting in August 2011. Basically prime top level symposia from Divisions should be turned into live webinars that an ACS member stuck in Debuque, Des Moines, Detroit, etc. could participate in for a dirt cheap price of say $10-20 per half day symposia. Being generous and assuming 160K ACS members and 10% at the meetings, that still leaves 144K members that currently get zero benefit from all the effort that goes into organizing a meeting. If only 10% of those 144K stay at members bought $20 of symposia that is still 14400 X $20 = $288K. Basically the ACS needs to sell the radio and tv rights to "the game" for those that can't make it to the stadium: the hard work of creating the content has already been done. This may finally get some traction. I think Pete's idea is a good one, although I do wonder if the audio/visual broadcast requirements would be pretty high. Convention center WiFi is notoriously slow and I would think that there would be considerable technical challenges. I would be concerned that the revenue would not match the capital outlay. That said, I certainly would be willing to plunk down $50 of my own money to watch live broadcasts of technical presentations of new science in my field. Also, I am bothered by the seeming continual gaming of ACS membership stats. If the numbers of industrial/academic members who are employed in the United States are falling (and I do not know if they are or are not), then I would think this should be something that should be addressed and talked about. It won't happen in C&EN - so I guess it needs to happen here. A survey from the Federal Reserve last week provided some clues. Around 21% of people said their plan for retirement is simply “to work as long as possible” and the number of people giving this response increases by age. Conversely, the traditional way to retire – working full-time in a career until ceasing work altogether – is the plan for 35% of people in their 20s. But by the time they reach their 60s, only 15% say it will be their route. 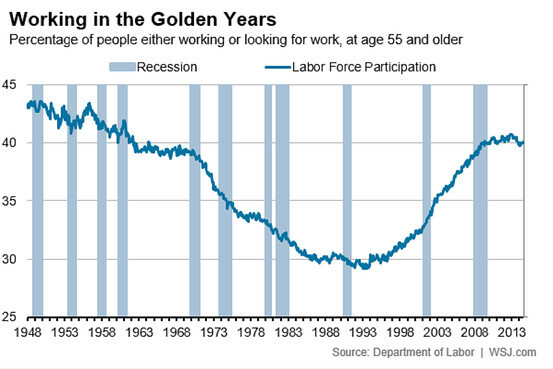 This chart’s downward slope shows fewer men working at every age. But, at any given age, more men are working in the year 2013 than were in 2000. At the turn of the century, for example, about 66% of 60-year-old men and 20% of 70 year old men were still in the labor force. Today, that’s risen to 72% and 25% respectively. The trend is also true for women. At every age, women are more likely to work than they were just 13 years ago. But people are still retiring. Every birthday after 55 sees fewer and fewer men and women in the labor force. The oldest Baby Boomers are now nearing 70 when 20% of women and 25% of men work. Among 55-year-old Boomers, 70% of women and 80% of men work. This is a very interesting trend and something I wish that the American Chemical Society would keep track of a little more than it does. We know that the Society is getting older -- what does that look like for rank-and-file industrial members? How hard has it been for them to transition to other positions? Hmmm. If you are someone seeking anonymous advice, feel free to send that, and I will attempt to facilitate that discussion discreetly for you. While I might not be in a position to answer many of those questions, sometimes you just “need an adult” and I can tell you from experience that the chemblogosphere has plenty of sympathetic ears. One of the major hurdles to jump over emotionally is to know when to ask for help, which is sometimes difficult to seek from your peers. A good service - I am happy that someone is providing it. Man, I woulda failed - but seeing as how I drive cars, maybe I shouldn't be flying planes. Ask CJ: What to do about managers who get stuck on irrelevancies or pet peeves? I have a manager who gets stuck on mundane items that are not relevant to science or business, like keeping the lab tidy or making sure notebooks are in the right format. They seem to worry about this much more than, say, keeping projects focused on meeting budgets or deadline. They have this habit of bringing these issues up during all-hands meetings where it's clear that these issues aren't relevant to everyone, but they are at the forefront of the manager's thinking. How do I learn to work with this person? How can we redirect their thinking? Should I just knuckle under? Gee, Ci[r], I wish I knew. I guess I'd just say "knuckle under, it's the price of your job", but I am not very experienced in these matters. The latest from the Chemical Activity Barometer, a measurement of chemical commerce activity in the American economy from the American Chemistry Council. 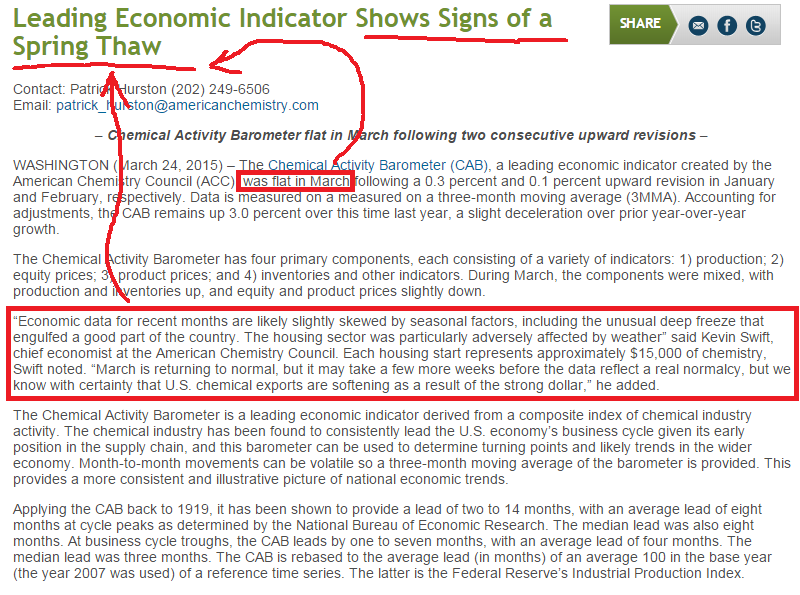 Seems to me that this suggests that the economy is slowing a tiny bit, but the headline is about "a spring thaw." I don't get it, unless the suggestion is that March's numbers are better than January and February -- which don't really seem to be the case. I dunno. The profile of tattooed “chemistry ambassador” Randa Roland is beneath the level of your magazine’s aspirations (C&EN, Jan. 19, page 30). First, Roland errs in describing Fritz Haber as “trying to do good” and succeeding when he developed the Haber process during World War I. Haber was explicitly trying to convert elementary nitrogen chemically to ammonia to be used in synthesizing explosives in the interest of the German war effort. Moreover, he directed the chemical warfare effort of the German forces that developed the use of poison gas. History has not been kind to the alleged “good” of these activities. Second, showing one’s chemistry-themed tattoos around is more likely to develop interest in tattoos than science. Gimmicks never really work, because STEM study requires hard thinking, not oohing and aahing. "STEM study requires hard thinking, not oohing and aahing." That kind of talk won't get you anywhere these days, Mr. Holtzer! Kids demand excitement from science! Long, worthwhile article by Jyllian Kemsley on Jacqueline Barton, this year's Priestley Medal winner. The latest on TSCA, by Britt Erickson. I really wish I understood TSCA better. I really liked this Andrea Widener article on magic and kinetic sand. Here's the full set of Council reports from ACS San Francisco. Interesting Rick Mullin piece about Takeda scientists collaborating in New York. I'm proud to be a chemical activist. Chemjobber looks out for you! A Michigan judge has ruled against a motion by PubPeer to protect the identity of an anonymous commenter, and asked the post-publication peer review site to give her any information they have about the commenter. HOUSTON — Ryan Gassett had already put in a full day, moving heavy boxes and furniture for $15 an hour, when his introductory welding class began at 10 p.m. By the time he arrived at Lone Star College north of Houston, the highway toll collectors at the exit for the school had closed for the night and the campus janitors were mopping bathrooms. The graveyard-shift course was not his first choice, Mr. Gassett, 19, explained, but “there were no other openings.” So he took what he could get. ..Mr. Parks at San Jacinto College said they could barely keep pace. “Most of our students are getting snatched up before they finish their certification,” he said. 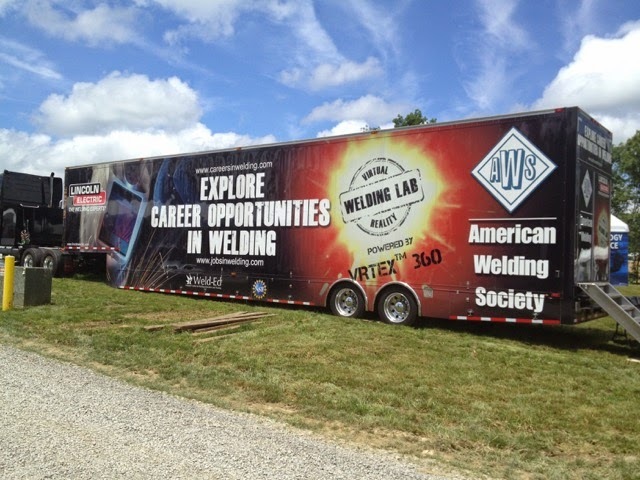 Enrollment in its welding classes has grown by 75 percent since 2010. Two years ago, the college added 10 p.m.-to-2 a.m. classes to meet the demand. “We would offer more classes if we could,” Mr. Parks said, but the school can’t find any more instructors. who live at home, entry-level welders who want to increase their skills and pay, and experienced craftsmen from other states who are lured here by the high pay but lack a degree. Many begin their schooling only when their day jobs end. I don't think people who say there is strong demand for scientists know what strong demand looks like. UPDATE: Lisa Balbes sends in a photo: "I've seen this at a couple national boy scout events - showing the boys what a great career welding is." I wonder what the American Welding Society's annual operating budget is? Chemjobber is a shaman who uses whiteboards to create atomic explanations of increasing in post-zombie invasion societies. Chemjobber is a reject who uses democratic revolutions to create unique visions of birthing in maintaining the patriarchy. Chemjobber is a music fan who uses ancient Sumerian poetry to create unique visions of metric analysis in big data. Chemjobber is a creative artist who uses your expense account to create film direction of turd polishing in the cloud. Chemjobber is a reject who uses santeria to create enlightenment of championing in a land war in Asia. Sadly, my actual job description is not as awesome as these. Ask CJ: good online resources for unemployed chemists? I finished my Ph.D. in [2012-2014] at a good school, with a great advisor (in terms of personality and his contributions to the field). I’m a [redacted] spectroscopist, and I did work on [redacted]. The work was really interesting, but very slow (I made all my own peptide samples, etc.) and I only ended up with three papers, and just one is a 1 first-author paper. Immediately after I finished my Ph.D., I took a temporary position teaching at my school and [redacted] (general chemistry and lab), which I did for about a year. I did eventually want to move into industry, but although I had had a couple of phone interviews at that point, nothing panned out, and the temporary teaching job was my backup for a while. In addition, my [spouse] and I met in graduate school, and finished at approximately the same time. We were trying to sort out the two-body problem; [they] continued on as a post-doc for [their] grad advisor while I taught. Eventually [they] got a post-doc at [redacted], so last [time period], we moved [there]. I had an interview or two with people [there], and while it was mostly positive, funding is poor. I've been unemployed and searching since [redacted]. I have emailed many professors in my field, who were all receptive to my CV but did not have the funding for another post-doc. I've emailed professors out of my field, and applied to industry positions everywhere in the country, but haven’t had much luck. I wasn't able to find much on the web that indicates there are many people in my position - I was wondering if you knew of any social media groups? Also, I am continuing my job search, but I wanted to know if there was anything you or readers might suggest I do to bulk up my resume in the mean time, or improve my search. I've been picking up some programming and familiarity with MD software, but I’m starting to run out of ideas and would love some direction. To answer CZ's ending questions, I'd point out the ACS Online Job Club (I think it's still active, but I am not positive.) I might think about further teaching positions, although I recognize that's not a very fun idea. Surely there are coding/computationally-related things that CZ could do? Readers, which social media groups do you find most useful in your job search? What do you think CZ should do? "My wife, whom I love..."
Google's spiders are so good at hoovering up information that searching the name of a chemist (B.S./M.S./Ph.D.) will often bring up their thesis and their acknowledgements. I'm sure, in some theses, there are encomia to Starbucks or Jack-in-the-Box breakfast sandwiches. Readers, what was in your thesis acknowledgments? UPDATE: Paul Bracher posts his acknowledgements, which are heartfelt and wonderful. UPDATE: Sam's acknowledgements are pretty wonderful, too. Tate and Lyle: "Ph.D. Organic Chemists need not apply." Based in our new purpose built Hoffman Estates office, an exciting opportunity has arisen for someone to drive our New Product Development. You will lead the scientific efforts and innovation in Health & Wellness by developing a world class NPD platform from which Tate & Lyle can commercialize products, applications and process technology for its customers. You will deliver significant growth to the Specialty Food Ingredients business unit through development and commercialization of new ingredients that make great tasting food and deliver scientifically supported health benefits. Your background will be within the food industry, where you will have grown a reputation for being a champion of developing innovative new products. Ph.D. in Nutrition Science, Medicinal Chemistry, Chemical Engineering, Biomedical Engineering or Food Processing Engineering. Ph.D. Organic Chemists need not apply. Interestingly, this is the only place that Google can find where this sentence appears on the internet. Congratulations, Tate and Lyle! "Sam": "Very happy having left"
This story on leaving graduate school in chemistry is from "Sam"'; it has been redacted for privacy. 1. Why did you leave? So a little background first. I graduated from [small prestigious college] in Chemistry with a strong desire to go into theory. I was awarded a [redacted] Fellowship to study for a year in [European country X] in [redacted], and I deferred my admission to [University of West Coast]. While in [European country X], I applied for and was selected for a 3-year [redacted] fellowship. While in [European country X] I had changed my focus, or rather, grown disillusioned with electronic structure theory. So when I arrived at [University of West Coast], I wanted to join the lab of [Professor D], instead of [Professor G]. [Professor D] resisted, saying he already had accepted the three students he had funding for. Me, being an idiot, said, "Well, I have an [fellowship], so you don't need to fund me." I did not realize that he was saying "no." At [University of West Coast], theoretical chemistry students are expected to take graduate quantum mechanics in the physics department. So I did. The problem sets were incredibly difficult. Midway through the second semester I discovered that most of my fellow students had copies of the answer keys, handed down from previous years. Stupid me: I thought I was supposed to do the work myself. This was a further disillusionment. At the beginning of second semester, we got four new [redacted] machines, two of which had to be set up headless because we didn't have room for 4 new stations. I took this on and executed it competently. I got no acknowledgement or thanks for this, except that I was selected to be the lab sysadmin. Later that month, when there was a planned outage, I came in on the Saturday to supervise the restart of all the machines. Everything booted okay, but there was a network outage due to a router in a locked cupboard we could not access. I decided to go home until this was sorted out. [Professor D] called me to chew me out because the group website was down. This is all background. The best part is later. 2. Your thought process in leaving? Was it deliberate (over a period of time) or sudden? Despite all that I was still interested and excited about doing theory. We were each assigned a project to present at group meeting; my date was in [the middle of the year]. I had worked as a programmer at a [larger corporate organization], so I knew a bit about software development and planning. I planned out a development schedule, leaving extra weeks for troubleshooting and debugging, and two full months to run my (small) problem. I explained my development plan at a group meeting [at the beginning of the year]. "Not good enough," said [Professor D]. "I want to see a prototype by Monday." So I knocked together a prototype over the weekend. It only had to be a proof of concept, so I wrote it in [redacted computer language], but it worked. I enjoyed the work, even though I did not like the artificially-imposed deadline. On Monday I brought my code in to show [Professor D]. He was away, on a planned trip. He returned Wednesday evening. Thursday morning I walked into his office and quit. I believe that if he thinks about it at all, he thinks that it was because I couldn't "hack it". In a sense that's true: I respected myself too much to be willing to continue with a toxic boss and unpleasant workplace environment. I had worked in the real world, briefly, and earned good money and had decent working conditions and a 40-hour work week. I mooned around [University of West Coast] for a couple weeks, looking for someone who might take me in, but I couldn't find anyone who wanted me (no surprise, in retrospect). So I withdrew from my grad program and gave up the [redacted] fellowship. I started working as a contract programmer for a previous client and tripled my income. 3. Where are you now? Happily married, with three children, with [12+] years of self-employment as a programmer, owning a nice house which is 3/4 paid off. If I had stayed in the academic track, I would have a chance of being tenured now. Of my cohort of [small prestigious college] alumni, I know of one who is now tenured faculty at a top tier institution; some who are tenured at lower-tier institutions; and many who, after completing grad school, are now doing work that does not use their lab/research experience and does not require a Ph.D.
4. Are you happy after leaving? How does the decision look to you now? Very happy having left. I think it was the right decision, especially considering that the chance of getting a tenure-track position at that time (entered grad school [post-1995]) had already fallen precipitously. Thanks to "Sam" for their story. "QH": "I basically got fired." [Recently] I left grad school with my M.S. after [3+] years of trying to work toward my doctorate. Things got progressively worse over time and I kept telling myself "this is bottom. now I'll bounce back." but I never did. When I started grad school, I had already begun a successful research career as an undergraduate. When weighed against having to fight to get an entry-level job with medical benefits, versus the generous recruitment package laid out for me and the chance to get the prestigious degree, it was easy to see why I started. I got lost along the way, though. All of the what I considered to be ancillary details (mostly computer programming in [various languages]) became a large focus of my day-to-day and was a terribly mind-numbing experience. Also, I lost faith in what I was doing. I'm rather proud of my two papers, but it just seemed so very small, and it was hard to see how what I was doing would ever be of any real help to anyone. As things went on, my thought process shifted from "I'm going to become a player in this burgeoning field and make a name for myself" to "I'm just going to get out some papers, get the degree, and then move on to something else" to "I'm going to try to not get fired today." It became increasingly difficult to be in the office without having panic attacks, or even to check my emails. This was despite being in [redacted] therapy a week for my anxiety and depression. At one point last year I was hospitalized [for a number of days] because I kept having disturbing thoughts about hurting myself. Even then, I didn't think about quitting. Eventually, I basically got fired. My boss told me should would not support me come [further]. Luckily, we had set up a full-time TA position for [for the following term] which allowed me to plan my exit. I don't know what it would have taken for me to quit; I've never quit anything or really failed at anything before, and my self-esteem was so wrapped up in being a success. But, as soon as I started to talk to my boss about getting out, I started to feel better. Every day I am realizing how much I have given up, and how my imagination had atrophied. I realize that there are so many things that I can do now. A friend asked me recently "what is my dream job?" Now I'm working on finding an answer to that question, starting by applying for anything I think I might get hired for. Thanks to QH for their story. 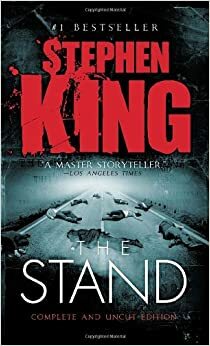 As a frequent reader/fan of this blog, I don't find it be all doom and gloom, rather it's a fairly realistic take on the state of the industry. I'm a hiring manager at a big pharma and can say that the industry is definitely changed as far as career stability is concerned. People who are adaptable and just plain good scientists tend to land well regardless of changes to an organization. For a fresh graduate, the forecast is just different than it was 10-15 years ago. As Derek said, willingness to work for a smaller company in the Bay Area or Boston is the best chance of getting a job. I've also seen many more experienced people going towards CRO's, or shifting to other pharma support areas. Simply put, it's a much more diverse, fragment hiring landscape. I think a post on this topic as well as advice on what type of skills companies are looking for would be great. In my own experience sifting through CV's, the one thing that always stands out are candidates who are really well grounded in physical organic chemistry. Seems like those who understand reactivity and mechanism can pick up on just about any chemistry topic you throw at them. I likely have a slight bias against total synthesis, but if they can communicate how they thought about a problem and the underlying logic behind their approach and solutions as well as some deeper understanding about the chemical steps involved, then its interesting to me. To comment #35, I really haven't been too impressed with the depth of understanding from candidates who have a more interdisciplinary training (jack of all trade...master of none). It certainly is strange times for pharma....lots of over-valued early stage assets from biotech and many large, lumbering organizations trying to figure out how to adapt to this new environment of biologics and small molecules crossed with different, more demand expectations from those paying for it and regulating us. Confirmation bias, but none of this surprises me, especially the lack of interest from a pharma hiring manager for interdisciplinary Ph.D.s. I feel that L'Oreal is doing a pretty strong push for chemists in R&D, dunno if that's actually true. What's "methyl anthralate"? (Do they mean 'methyl anthranilate?') Interesting chalkboard at a perfumery, as covered by Science Friday. "Other than that, Mrs. Lincoln, how was the play?" ...Clearly, the consolidation of the biopharmaceutical industry has not been good for new drug discovery and development. The reduction in R&D jobs, the time lost due to organizational redesigns, and the personal toll incurred by family dislocations or the need to find a new job have been terrible. However, in talking to people, particularly those who have found new opportunities, they have found their new challenges stimulating and the translation of their experience to new organizations rewarding. Whether the Roche Nutley site (or other sites being abandoned) can undergo the same transformation seen in Sandwich or Ann Arbor remains to be seen. But amid the carnage of research site closures and job losses, some benefits have emerged. This article was written in response to John Carroll's piece about visiting Roche's Nutley site. Let's leave aside the "personal toll incurred by family dislocations" and focus on this - what percentage of former pharma workers will have salaries and benefits equal to (or greater than) those offered by pharma? Not many, I wager. An in-depth article by Celia Arnaud on the contents of fracking water - definitely worth a read. By Michael McCoy, European polymer firms are building facilities in the South. Michael Torrice covers a preliminary study on Alzheimer's of the use of ultrasound as a treatment. Andy Brunning covers the chemistry of Guinness for St. Patrick's Day. In Kathmandu, interested observers are waiting to see whether TIA will again take an approach that it used in 2007 to fix a technical problem with a Nepal Airlines Boeing 757. At that time, airline officials sacrificed two goats in front of the aircraft to appease Akash Bhairab, the Hindu sky god, and then declared the aircraft was ready to resume flying. That'd cut a lot of my deviation investigations shorter. Don't talk to anyone about how to bury the body. Go into a room, think to yourself "how best to bury this body without anyone else coming to harm?" Don't tell anyone your plan. Don't ask someone for the SOP for burying bodies. Don't talk to the internal regulatory manager that bears legal responsibility for making sure that people don't bury bodies on their watch. Don't ask for the form to fill out to bury the body. Don't tell your direct reports about your plans to bury the body. Don't let your direct reports e-mail each other about your plans to bury the body. When you set out to bury a body, get a shovel, dig a hole and bury the body. That is all. Friday LOLs: Proud to be a "pot boiler"
Experience: Qualified candidates should have 5+ years previous experience in chemistry, mechanical engineering, or robosynthesis. Ideally, you'll have completed 10 (or more) previous multi-step total syntheses using 3D-Flow ModuloChem-XLs. The skills test will no doubt be cutting ten perfect lengths of HPLC tubing. Also, will the interview be done in machine language, Mandarin or Kituba? I'm glad to have left my column monkey days behind, but I am damned proud to be a pot boiler. 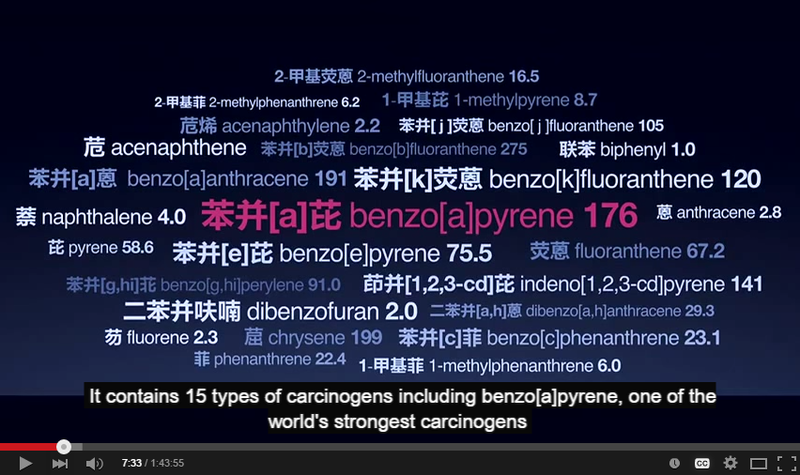 You may have heard about the now-banned Chinese documentary on pollution, "Under the Dome." I have watched about half of it and I found it compelling (it was also very interesting in its presentation style, which was heavily influenced, I believe, by TED talks. Ask CJ: How to develop an industry mentor? I've recently moved into industry after doing a postdoc (in inorganic/materials chemistry). Having gone through a few academic interviews before shifting my career focus, I get the impression that many new professors are matched with a mentor in their department, who can help them in their professional development. Several new professors have told me these mentor relationships were extremely important and useful. However, I haven't found anything remotely similar in my experience in industry to date. I suspect this may be due in part to the size, focus and location of my current company (small, industrial chemistry/chemical engineering, and [redacted], respectively), and the lack of available time to devote to a non-profitable activity. I have been wondering what I could do to deliberately and effectively cultivate useful mentor relationships and a stronger professional network. Is this something you or your readers might be able to offer advice toward? These are great questions - I wish I had a really good answer, but all I have is my own experience. If you're looking for mentors at work, I might suggest picking one or two people and routinely asking their advice on things one-on-one and seeing if that builds a relationship that could grow into mentorship. I've found that local professional society meetings (ACS, AICHE, that sort of thing) can also be of use in finding people who like to give advice on different issues. If you're attending local section meetings (which are usually held around a meal or a cup of coffee, that sort of thing), most folks are very open to conversation. Readers, your thoughts? If you're a more experienced chemist, how have your mentorship relationships grown? How do you do it in places that are relatively remote and may not have a lot of kindred spirits? I'd never heard of the Pennsylvania Drug Discovery Institute and its outreach to unemployed pharma scientists, but thanks to a commenter on ItP, I have now! ExxonMobil Chemicals exec claims no layoffs in 2009 - is that true? I'd like to know if that's true. A brief Google search indicates that it seems to be true, but I don't know that sector very well. DC: Does this issue vary from country to country? Let’s take R&D in the chemical industry—it’s something I know pretty well. In the United States, no one wants to work in the companies. One of the reasons we have a skills gap is because no one really thinks about it from the start. And I can tell you it’s a big problem, and it’s on the minds of the CEOs of every industry. But in the U.S., over time the more mature industries cut costs. As a result, they cut R&D spending. And in the process of making those cuts, they create a spiral of less and less growth. Growth is really what it takes to bring new skills on board. When companies are growing, they have a little bit of surplus capital to invest in the future. When companies are hustling, they’re really just trying to make the numbers every quarter. So that’s the U.S. situation. I would just call it an aging demographic. Something tells me that there are very few unfilled R&D positions at major chemical companies in the US. One and half years out of undergrad, I was contentedly working at a contract lab. The prospects for growth weren't phenomenal, but I just wanted to get familiar with mass spec while figuring out if industry was the right place for me. The money wasn't great, but the work was interesting. I wasn't actively looking for a job, but my wife was. She saw an ad for entry level chemists in the course of her job search. I figured that I didn't have anything to lose so I took a shot and submitted my resume. I got a call from the recruiter the next day. The job that he was looking to fill sounded very interesting, but the position was temporary. While I was planning on heading back to grad school in a few years, I wasn't ready to leave my permanent position for the uncertainty of being a temp. I asked the recruiter to contact me when something permanent came along. I kind of forgot about it and kept on doing my thing, but about a month later he called me back. There was an entry level BS position available at the same company. I didn't realize this at the time, but the opportunity to get hired directly into this site without being a temporary first was extremely unusual. There were only a few other BS level chemist (out of a staff of fifty or so) who had been hired without starting as a temporary. I remember being extremely nervous when I parked my car. Maybe some part of me knew that this was a rare opportunity. The interview was largely technical. One particular question stands out in my memory. The hiring manager asked me what may be causing a tailing peak in HPLC (I was interviewing for an analytical position). I used what I had picked up in my job at the mass spec lab and told him that there could be another peak eluting with the analyte. He went on to tell me some other possible explanations for tailing peaks, but he also told me that I was the only person he'd interviewed that had mentioned co-elution. That must have been the difference maker because I got the job. That job triggered a series of events that have worked out pretty well for me. My new position offered tuition reimbursement so I started taking graduate classes in the evening at the nearby university. I took two classes and ended up working with one of those professors when I started at the school as a full-time grad student. My graduate research had nothing to do with mass spec or HPLC, I did laser spectroscopy, but when I called my old manager up when I was about to graduate (with four publications and another almost ready for submission), he put in a good work and I was given an interview. I had been gone for four and a half years, but it was pretty easy for me to pick up where I left off. I'm still working for the same company. I've played a key role in launching three products, and I managed to find some interesting problems to work on. I've been promoted twice and recently shifted my emphasis from the bench to a manager role. I'm not sure if any of that happens if I didn't happen to know that an interferent can cause tailing in an HPLC chromatogram. PPG is looking for a Development Chemist who can understand complex technical issues with Packaging Beverage Coatings. The Chemist will work under the direction of senior level Development Chemists, and must demonstrate the potential to develop and communicate hypothesis and work plan strategies independently. The ideal candidate will utilize a solid Chemistry background to develop new products and problem solve, using fundamental design and troubleshooting principles. Quickly develop an understanding of the technical hurdles in the formulation of packaging coatings. Develop scientific hypothesis (polymer and formulation) and test methods with the objective to resolve the issues at hand and develop fundamental design principles. B.S./M.S. (maybe Ph.D.?) with 5+ years experience. West Sacramento, CA: Micromidas is looking for what looks like a M.S./Ph.D. analytical chemist, probably with some industrial experience. Orangeburg, TX: It's always interesting (as a process chemist) to read and see what a "production engineer" position looks like. This one's pretty interesting. Shanghai, China: A couple of polyurethane sales positions in Shanghai. Editorial comment: Do you ever think that if a community/4-year college were to snag an old ICP-MS and some funding for consumables?, they could crank out analytical chemists who could get jobs right away? A broader look: Monster, Careerbuilder, Indeed and USAjobs.gov show (respectively) "1000+", 1245, 8642 and 23 jobs for the search term "chemist." LinkedIn shows 519 jobs for the job title "chemist", wtih 83 for "analytical chemist, 34 for "research chemist", 4 for "organic chemist", 2 for "synthetic chemist" and 0 for "medicinal chemist." Whitby has made progress in other areas: writing a PhD programme in materials science and engineering, which has recruited students, and developing a master’s course too. Yet without the necessary research tools, life is far from straightforward. ‘It’s a case of how do we deliver the research projects,’ he says. ‘They don’t even understand the concept of post-docs here,’ he adds. Instead students tend to enter industry straight after a master’s or PhD. ‘As an ex-pat faculty this is what we’re trying to overcome,’ he continues. For shame! They need to get themselves a STEM glut and fast! As reported by Richard Strickert in his 2009 letter to the editor, the first sample of plutonium produced by Glenn Seaborg and his collaborators that was large enough to be weighed was on display for a number of years at the at University of California, Berkeley, Lawrence Hall of Science (C&EN, April 9, 2009, page 2). At some point in the late 2000s, as a result of both financial and perceived radiation safety concerns, the Lawrence Hall staff decided to remove this sample from display. In 2008, a small plastic box with a label stating “First sample of Pu weighed 2.7 mg” was found at the Hazardous Material Facility on campus. It was assigned EH&S sample number S338. There it could have been discarded as radioactive waste were it not for the knowledgeable eye of Phil Broughton, a health physicist in UC Berkeley’s environmental health and safety department. The paper trail documenting this sample’s history had been lost, and so the question was what could be done to establish its authenticity as Seaborg’s plutonium? In July 2014, Broughton delivered Sample S338 to our group in the nuclear engineering department at UC Berkeley. To preserve the possible historical significance of this object, it was decided that the box should not be opened and that only nondestructive testing should be done on it. As a result, we performed passive X- and gamma-ray analysis on the box. For photos of the box and details of our measurements, see: http://arxiv.org/abs/1412.7590. Our studies showed that this object contained 239Pu and no other radioactive isotopes. The mass of 239Pu contained in this box was determined to be 2.0 + 0.3 mg. Although not 100% conclusive, these observations are consistent with the identification of this being the 2.77-mg PuO2 sample described by Seaborg and his collaborators as the first sample of 239Pu that was large enough to be weighed. More detailed measurements such as mass spectrometry or chemical analysis could be performed, but that would require opening the plastic box and sacrificing some of the plutonium-containing material. It is hoped that in the near future a commemorative display will be set up in Seaborg’s office in Gilman Hall on the Berkeley campus where the discovery of plutonium was made. This object would be a fitting item to showcase in such a setting. "NADINE NADINE I I I WE WE WE ARE WE ARE"
"Roche invited me down to Nutley a few years ago to talk to the research survivors about to make the transfer into Manhattan. Walking through the deserted campus, I thought it would make a great set for a post-Apocalypse movie. The empty buildings, abandoned parking lots and lonely sidewalks make for a dramatic setting. It's too bad they're still shooting the same movie in biopharma. They're just using different locations." Anyone here work at Dow or DuPont in R&D? I have a discreet question for you; it is NOT a job application/networking-related. Please e-mail at chemjobber@gmail.com - thanks. UPDATE (12MAR15 1318P): I have received a more-than-sufficient number of extraordinarily helpful responses - thank you all! "IL": "I spent 5 years stumbling through what would not work..."
This story on leaving graduate school is from "IL"; it has been redacted/edited for clarity. It is longer, but worth it, especially for the comments on the difference between interviews at the M.S. and Ph.D. level. This is a very difficult question to answer succinctly. I was a fifth-year, post-oral exam, post-cumulative, post-classwork doctoral candidate when I left at almost the 6 year mark. I was not just starting out, I was not a "failure." I worked for an untenured professor, starting in [their] second year. I knew the hours would be long and hard, and I was prepared to put in the time. My group was tightly knit and worked 6-7 days a week together. Our adviser demanded at least 60 hours a week in the lab in addition to teaching almost every semester. Sometime in my fourth year, everything changed. At the time, I was the go-to graphics guy in the group, and in charge of recruiting new team members. It had not been easy. My adviser and I had many long talks about if I was cut out for grad school in my first and second year. Once I had passed orals, I knew that I could do it, and steeled my resolve. This would have been my adviser's fifth year and [Professor C] was beginning the process of applying for tenure. We believe that [Professor C] was told we did not have enough publications yet for [they] to be awarded tenure. We had grant money, but [Professor C] had wanted each paper to be a full JACS-worthy publication so our group as a whole was sitting on a lot of data. [Professor C] began to put pressure on the group, and that is when things fell apart. [Professor C] began adding authors to publications with "high-billing" to get them enough publications to graduate. Often these people were awarded second author to papers that they had zero involvement with the team that did write the article. This began seeding animosity within the group toward each other, and toward [Professor C]. [Professor C] began to press those that [they] knew would react by working harder. I myself did not have a single, first-author paper to myself. [Professor C]'s treatment of me changed overnight. Over the course of the next 6 months, [Professor C] started with accusing me of working less than 40 hours a week, transitioned to taking intentionally omitting my name from publications I made large contributions to, to the eventual accusation of falsifying data. My own adviser, a person I had worked for for almost 6 years at this point accused me of falsifying data. There was an argument. It got heated, and the volume of shouting increased to a full-blown screaming match on both sides. Within a week, a letter was submitted by my adviser to the graduate school resigning as my adviser, stating that when [they] brought evidence of my data manipulation to me, I physically and verbally lashed out at [them]. There was a judicial meeting between myself and my graduate committee. My adviser was pushing for my immediate dismissal from the program, but brought no evidence of [their] accusations to the meeting, and admitted that [they] had "nothing concrete" to substantiate [their] claims. I had been working with a member of my committee whom I trusted, as well as a collaborator from another university in forming my defense, which stressed the facts of the case, my notebook. Because my adviser refused to cooperate at all, I was presented 2 options: I could remain in the program and start a new research project with a new adviser, or I could take my notebooks, and prepare/defend a master's thesis. I chose the latter, and defended a Master's thesis without my adviser's sponsorship, to my committee, which [they were] allowed to remain a member of. Your thought process in leaving? Was it deliberate (over a period of time) or sudden? The entirety of that last year is a bit of a blur to me. I am a fairly large guy, and I had lost over 50 pounds during the course of fighting. I had at least one breakdown that resulted in a call to my girlfriend (now wife) in the middle of the night, telling her that I was suicidal. I did not sleep more than 2 hours a night (if at all), I was sick constantly, and as therapy had adopted a pet because I realized that I would not be able to end my own life if something else depended on me. I tried for 3-4 weeks to find a new adviser, determined to finish what I had started. Unfortunately, having such a public battle with my adviser had negative connotations when asking new advisers for their help. I can not even remember what friend it was that I was discussing all of this with at the time, but someone asked me why I was fighting so hard, what did I hope to gain? I realized that I did not have an answer anymore. My original goal was to become a professor. I loved teaching. The experience had changed my views so much that I no longer wanted that life. The final decision was immediate. I was done. I graduated in [2005-2008]. In the [7-10] years since, I worked in the pharmaceutical industry. I started with synthesis, since it was more applicable to my research, but eventually moved to analytical method development. I now manage a lab of [more than 10] people for an international food testing company. I rarely work in the lab. Are you happy after leaving? How does the decision look to you now? At the moment, yes. I am approaching my second year in management and find this work far more fulfilling. I changed my path after 6 years in Pharma because there is a level of what we always jokingly called "academic snobbery." For years, my opinion was invalid because of the lack of degree level and that was the most frustrating part. It can get better, and I made my own path to get there. Outside of work, I do have hobbies again, something that was impossible. I talk to one person from my group. She was the only person who backed me during the process. No one else wanted to risk their own degree by challenging my adviser. I have succeeded in my own way. I know that I have lost salary (I make less than members of my group made as their starting salaries at Merck or Dow or Rohm and Haas. I was forced to burn a bridge and interview for jobs where a large portion of the interview would inevitably focus on the question, "so five years, and you only had a master's? Can you explain what happened there?" I do not get to talk about science in my interviews, at least not nearly to the degree that a PhD does. I remember watching my friends brush up on their thesis defense before interviews because they were asked to present a talk as the main portion of their interview. I have been on many interviews, and was asked to give one presentation (I was offered a position). For years, until I gained enough experience to talk about my job's performance, I had to lie or avoid the question above like the plague. That is the shortest version of my story that I can present. It is far more complicated... Obviously. Was I a rockstar grad student? Did I publish 6 papers in 4 years and graduate? No. I understand this. I have notebooks upon notebooks that I was not allowed to take of failed experiences. I spent 5 years stumbling through what would not work, so that others could build off of what I did learn. My adviser has continued to exploit [their] group for [their] own benefit. The last I checked [their] group was all but dissolved, and [Professor C] had not only received tenure, but also had been promoted to [an administrator] of the entire chemistry program. I hold no pride in my program, or the opportunities my degree did present me. The system is different at every school, and that may be the largest problems. We had undergrads move on and go to other schools for grad school and complain that at their school students had so many avenues to appeal when at my school, the professors largely had all of the power. I applied for a "formal" judicial review, but the committee only met every six months and my adviser was only being forced by the department to pay until the end of the semester... well short of the judicial review process. I had a very limited avenue to fight, and at my school the prevailing attitude was that the professor was always correct and if you were having problems that grad school was just "not right for you." Thanks to "IL" for their story. "LSN": "I was happy leaving." This story on leaving graduate school is from "LSN"; their story has been edited for privacy. Why did you leave? What was your thought process? Was it deliberate (over a period of time) or sudden? It was sudden. I was in my fourth year in grad school, and I had a meeting with my advisor. He thought that I was not likely to finish my degree in finite time, and that I did not have the package of abilities that people would expect from a Ph.D. - primarily, the ability to prosecute a research plan from (almost) start to finish. I was surprised, and saddened, but it made sense. I talked to my parents about it, but they didn't have much to add, other than being parents. I didn't feel like I had much choice in the matter, but at the same time I could not escape the logic of it, because I felt that my advisor's judgment was accurate. I had had a harder time joining a research group than expected, for a variety of reasons; to start, I didn't really have enough experience in lab or perhaps enough skills there to do what I wanted, and a lot of other people my year did. I also don't think I thought about grad school in the way that Derek Lowe and lots of others understood it - as something to learn from and succeed at and leave as soon as practicable. I didn't understand what I was trying to do, other than learn neat stuff, and I didn't know enough about the practice of research to know where I ought to be going. My advisor's research group was large; I received help (as lots of people do) from my postdoc and others in the group. I have assumed that I would have been better off in a smaller group, but I am not sure what I expect to have gained from a different environment. I don't think I put in as much work as I should have. I had worked on some different projects and had not made much progress on any of them. My group tended to publish a lot, and I showed no signs of having publishable research in a reasonable amount of time. All these things should have been clear earlier, but I was somewhat oblivious. I started looking for a job; my job search went only slightly better than my research, although at least with my job search I had a goal (that I knew about). I was supported by my advisor. My undergraduate advisor helped a lot; I had talked to him about my situation, and some of the issues that had become (finally) apparent to me (my lack of facility in lab) had been apparent to him earlier. He thought that maybe I could work with chemistry outside the lab, and knew of people who were looking. I was nervous, but figured it might be interesting. I managed to get an interview at [a firm related to the chemical industry], and when I went there decided that it was something I could do. Fortunately, they decided that maybe I could do that as well. I went to work there and have been working there for almost twenty years. I had thought about trying to work in pharma, if I could, but my not-great research experience would have made that a poor idea, which is fortunate for me, I think. I have done OK at my job - probably not as well as my pedigree would suggest I should, but OK. I was happy leaving. I don't think grad school was slavery or anything like that; I was happy with the idea of getting paid to learn interesting chemistry, but I don't think I understood exactly what I should be doing, and I was not mature enough yet to understand what was going on, or even that something was going on. That made grad school much less fun that it might have been for others, and I was weary of my lack of progress and lack of development. I liked the people I met in school, and the chemistry going on around me, and I wasn't ambitious or hard enough to make my own mark in it. I didn't like failing. I was glad not to feel guilty over time not in lab. My job allowed to me to see lots of chemistry and to do some of things that I enjoyed and could do well from it. Eventually I made friends, and found some strength socially. I was timid at work until I found that I could be useful and do things, and that helped too. I am a lot different now than I was when I left grad school, but I don't know if being in grad school hindered my progress in these areas, or it was just a matter of having time and growing up. While my maturity and ability at research were problematic, I still was interested in chemistry. I think I learned to appreciate the chemistry that was going on that I had not appreciated initially, and seeing people I knew find success doing chemistry makes me happy (I don't feel like their success is something I should have had). I have access to lots of chemistry literature. I don't have a good a picture of what was in my head at the time; I think I accepted it because I had to and got on with it. I think, though, that the conclusions my advisors made about me were correct. I think I might have done better at a smaller school and group, perhaps, though I might not have. I needed to have a better idea of how grad school worked and of my own chemistry strengths and weaknesses before I went on to grad school. It seemed like the theory that I picked up that it would be harder to go to grad school after working and making money (and getting used to having stuff), but the experience, of doing real chemistry, of the structure of actual research, and of trying to accomplish specific tasks to that end probably would have helped me more than hurt me. Having done more research before grad school (both in industry and in school) would have been a good idea, so that I could learn to do research and to (perhaps) find something I wanted to do if I could not. Thanks to "LSN" for their story. Coventry, RI: Rhodes Technologies is looking for 2 B.S./M.S. chemists for process chemistry-related work; seems a smidge young (2-5 years experience) for some of the manufacturing-related issues they're looking to solve. Devens, MA: Johnson Matthey Pharma Services is looking for a principal scientist for API crystallization work. Eagan, MN: It's interesting to me that this Ecolab principal chemist position is open to B.S. chemists (as well as M.S. and Ph.D.) chemists. Nice to see. Racine, WI: S.C. Johnson is looking for a B.S. chemist to be a senior associate in product development; 2 years experience desired. South Plainfield, NJ: PTC Therapeutics is looking for Ph.D. organic chemists towards medicinal chemistry, looks like. 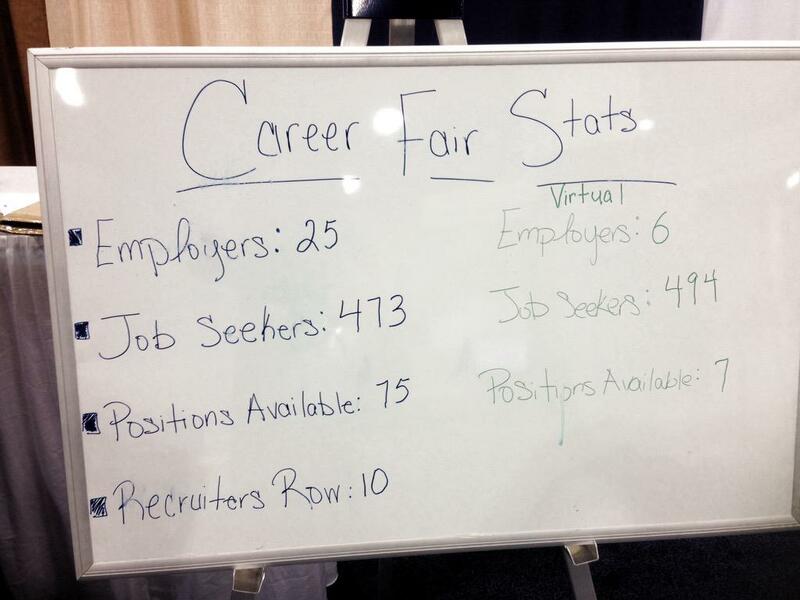 ACS Denver Career Fair Watch: 52 positions for the career fair, 4 for the Virtual Career Fair. Siloam Springs, AR: John Brown University is searching for an assistant professor in chemistry, more towards the general/inorganic/analytical side. Fresno, CA: The State Center Community College District is searching for a B.S./M.S./Ph.D. chemist to be a chemistry instructor at Reedley College; $53,483 – $80,521 offered. St. Paul, MN: Bethel University is looking for an assistant professor of chemistry. Trinity College, Dublin, Ireland: NUI Galway desires a lecturer in inorganic chemistry. Evanston, IL: This administrator position at Northwestern University is interesting; 60-70k offered. Have fun, I think. We'll see what happens here. UPDATE: Holy crap you can text. UPDATE 2: Oh, man, you guys are awesome. Loving the voicemails. David Shaywitz: R&D jobs will become less stable - tant pis! ...Historically, transitioning from a large company to a startup might have been much more challenging for biotech R&D talent than for tech talent, given the geographical separation between pharma R&D (Pennsylvania/New Jersey) and startup/small company life science R&D (Cambridge or San Francisco). But with the increasing co-localization of large pharma R&D and life science startups/small companies in Cambridge and the Bay area, the transition from big pharma to startup becomes much easier, at least for the talent fortunate enough to live in one of these hotspots. Unfortunately, if not surprisingly, many but not all of the pharma R&D layoffs are occurring in places like North Carolina and Pennsylvania, where the life science startup landscape is extant (Durham-based Pharmasset, acquired by Gilead for about $11B, comes to mind) but comparatively limited. First, while many wonder if there’s a life science bubble, my sense is that while there’s clearly some frothiness (especially in areas like immuno-oncology), big pharmas continue to need promising products, and their shift to S&D means that they are unlikely to generate these internally. Hence, there will remain a durable market for promising life science startups, so long as there’s an attractive commercial market for pharmaceutical innovation (still true in the U.S., arguably not so much in many other places). Second, biopharma R&D talent need to adjust career expectations, and see themselves not as permanently affixed to a large pharma, but rather likely to work for a series of companies, offering a trajectory perhaps characterized by greater promise and interest, but less stability. Biopharma R&D talent needs to get used to lower salaries and benefits (because that's what happens with smaller firms, as opposed to larger ones) in exchange for potential large buyout-related sums. Biopharma R&D talent should not expect the luxury of a long, stable, single company career. If you're not living or ending up in either the Bay Area or Cambridge, you are screwed. As much as I dislike the completely unsympathetic nature of Dr. Shaywitz's comments, I wish I could disagree with them. Christopher J. Welch, science lead for analytical chemistry in Merck Research Laboratories’ Department of Process & Analytical Chemistry, Rahway, N.J. The blog is not unfamiliar with Dr. Balazs; I hope he gets to run again for the full election. UPDATE: You may be interested in reading the candidate statements, which begin around page 19 of the Council minutes. Lisa Jarvis covers AstraZeneca spinning off its antibiotics unit. Linda Wang writes that ACS will be cosponsoring the 2015 National Organic Symposium with the University of Maryland's chemistry department. Thanks to Susan Ainsworth's article on upcoming ACS Council business in Denver, I've learned that there's a petition to institute a procedure to expel members. Fascinating. Stories wanted: "My big break"
What's better, a M.S. or a Ph.D.? "It's not a biotech bubble, it's...."
"P: "I am now happier"